If you are ready to set up your first website and feel a little overwhelmed with how to get started, this blog post is for you. One of the easiest ways to set up your own website is to use the most popular content management system in the world – WordPress. 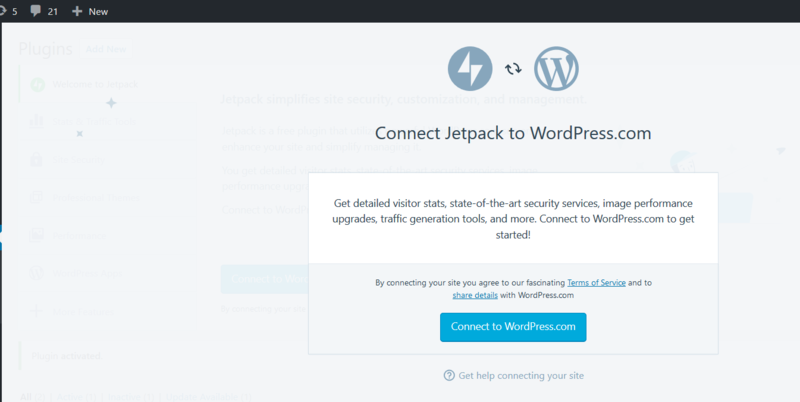 Setting up a WordPress website is easy. There are 2 main ways to install WordPress plugins to your WordPress blog/website. Here, you will see a list of plugins in various categories such as ‘popular’, ‘recommended’, ‘favourites’, ‘featured’. 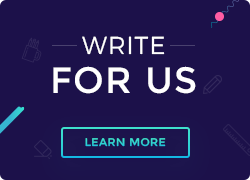 You can also look for a plugin via a keyword, author or tag. Before you install a plugin, be sure to look at the reviews, the rating, whether it is compatible with your version of WordPress(make sure that you first have the latest version of WordPress), the number of active installations. Click on the ‘More Details’ link to read more about the plugin. 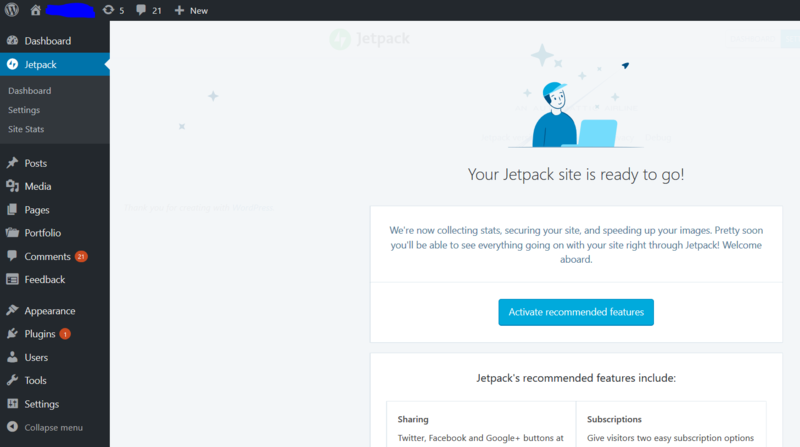 For our example, we will install a popular plugin called Jetpack. 5.After a few seconds, the button will change to ‘Activate’. Click on it. 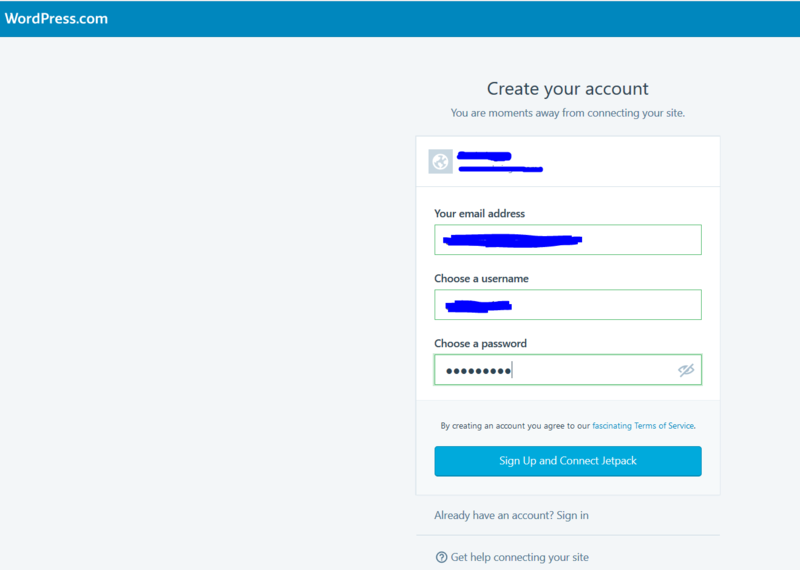 You will need to create a wordpress.com account if you don’t have one already. Once you have logged in with your credentials, the installation is done. 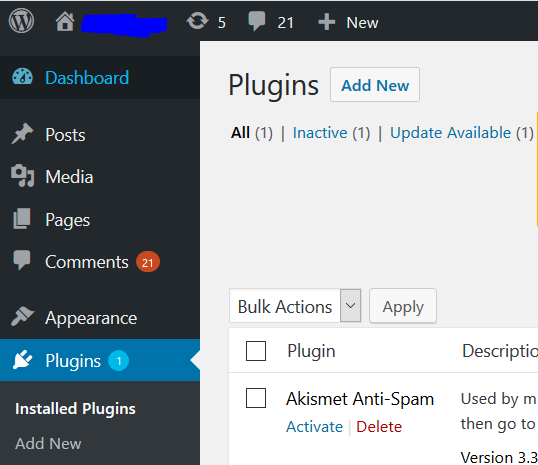 Log back into your main WordPress dashboard and you will see the plugin in your main menu. Select the new plugin from the main menu and follow their specific instructions. 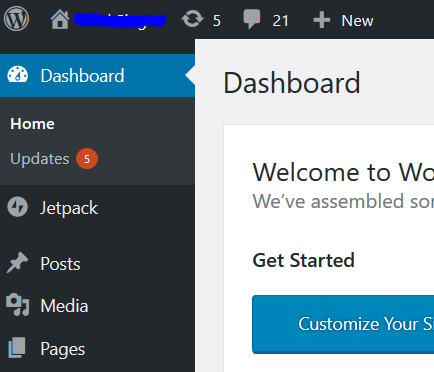 If you have downloaded a plugin from a 3rd party website (these are usually plugin marketplaces), you can upload it via your wordpress dashboard as well. Select the .zip file from your drive and upload it to your dashboard. Select the ‘Install Now’ button and you’re good to go! We should also mention that plugins can also come pre-installed with purchase of a WordPress hosting package. 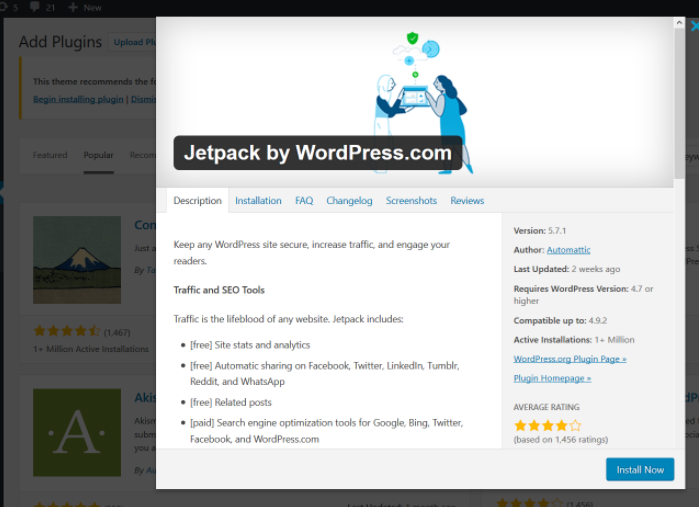 For example, Jetpack comes pre-installed with our WordPress hosting product. Ensure you always have the latest version of each plugin. Plugins that are not updated regularly are open bait to hackers to gain access to your WordPress website. Read the plugin details carefully before downloading it. Look particularly at ratings and reviews. Install website security software such as ‘SiteLock’ which immediately scans and removes any malware or threat present on your website. 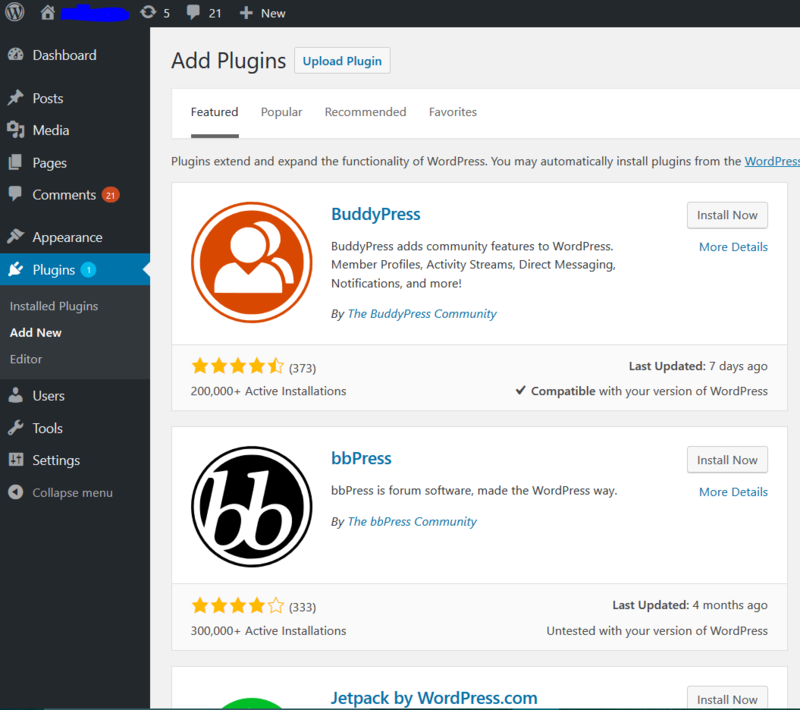 We hope you found this blog post on how to install WordPress plugins informative. Have you had any issues installing WordPress plugins? Let us know in the comments below.